Fiberglass is the heaviest of the 3 materials we propose. Fiberglass is composed of melted glass that has been extruded though bushings; this produces a string like material. This string is then woven into yarn and the yarn into cloth. Like carbon fiber, this cloth can be molded and bonded into any shape desired but fiberglass takes far less heat and pressure to accomplish this bond. Fiberglass is not as strong and light as carbon fiber but it is more flexible. Carbon fiber is composed of carbon atoms bonded together to form a long chain. It is basically very thin strands of carbon; even thinner than human hair. The strands can be twisted together, like yarn. The yarns can be woven together, like cloth. These cloths and yarns can be molded and bonded together into any shape desired. This bond is formed by using heat and pressure, combining the fiber with a plastic or a polymer. 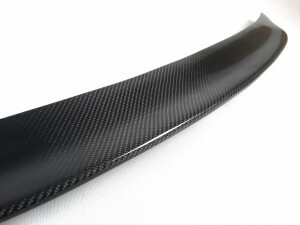 Carbon fiber is five times as strong as steel, two times as stiff, yet weighs about two-thirds less. Carbon fiber has slowly made its way into multiple industries, replacing metal in certain applications. 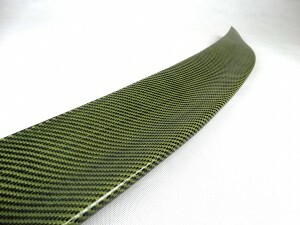 The carbon kevlar is still a carbon fiber mesh in a matrix, but some kevlar fibers are added to increase strength. While being light and stiff, the carbon fiber isn’t particularly strong. By adding some kevlar, you sacrifice some lightness (ie, it’heavier) but gains some strength. It has also this particular yellow weaving color.